Born in Brooklyn in 1884, the daughter of Clarence Kenyon and Emma J. Kelsey, Helen Kenyon had a privileged upbringing at the turn of the century. Her father was the owner of one of the first garment factories in New York, and her family's genealogy could be traced back to the Mayflower. With an auspicious background, Helen Kenyon was well equipped for her life's work in religion, health, welfare, and education. In the fall of 1901, at the age of 17, Kenyon matriculated at Vassar. The young woman quickly made a place for herself as a campus athlete, playing on the class of 1905 hockey team all four years, as well as enjoying golf and tennis. After graduation Kenyon became the chairman of the Class of 1905 Gift Committee, on which she remained until 1910. In that time, Kenyon also pursued philanthropy in New York City as she served on the executive board of the Willoughby Settlement House. As his daughter worked in New York City, in 1909 Clarence Kenyon purchased 215 acres of land in Poughkeepsie. He then commissioned local architect, Percival M. Lloyd to design a spacious country house. 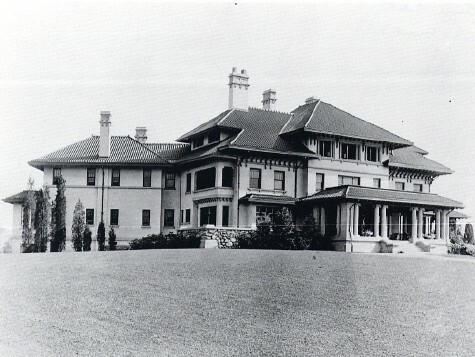 In 1913, the house, built in a Mediterranean style, was completed, and with 23 rooms in total, it was a small mansion. The big house was situated at the top of a hill to look over much of Poughkeepsie, and all of the Kenyon's holdings. Upon its completion, the entire family, including 29-year-old Helen, moved to the Poughkeepsie estate, which they named "Cliffdale." Returning to the town where she attended college, Kenyon renewed her ties to the Poughkeepsie community. She joined the Poughkeepsie Public Health Committee, becoming chair of its subcommittee on nursing. She also joined the Poughkeepsie Board of Education and became Recorder of Duchess County New York State Military Service in 1917. As involved as she was in Poughkeepsie, Kenyon was also assisting Vassar. In 1915, she chaired the accommodations committee for Vassar's 50th anniversary. In her efforts to find housing for all returning alumnae, the Vassar graduate combed all of Arlington, visiting every house in the area to insure that every alumna would have a place to stay. She also set up as many cots as she could fit in her family's Poughkeepsie estate. In the end, not one alumna arrived without a place to sleep. In 1917, Kenyon became a member-at-large of the Vassar Associate Alumnae Executive Board, and a year later she was elected the Associate Alumnae president. As president, Kenyon was responsible for numerous fundraising campaigns for the college, her greatest effort being the 75th Anniversary Fund in 1940. In 1921, Kenyon left the presidency to become treasurer of the Salary Endowment Fund. While treasurer, Kenyon helped raise a record three million dollars for the fund. Following her success as a treasurer and as president of the Associate Alumnae, Kenyon took a seat as Alumnae Trustee on the Board of Trustees in 1923. After five years on the board, Kenyon was elected to be chairman of the Board of Trustees. The first woman chair, for the next 10 years, she assisted in a variety of efforts for the college. Under her leadership the construction of a very badly needed and radically innovative physical education building, named in her honor, took place. In the construction of Kenyon Hall, Helen Kenyon expressed her hope to provide a space for Vassar students to explore a wide variety of physical education, and the building included facilities for sports, exercise, and dance. When the hall opened in 1935, it became a lasting testament to Kenyon's commitment to Vassar and its students. Even as she devoted most of her time to Vassar, Kenyon continued her commitment to Poughkeepsie. Well-known in the area for hosting garden-parties and fundraisers at "Cliffdale," she also founded the Rombout Riding and Hunt Club of the Hudson Valley. As she elected chairman of the Board of Home Missions, Kenyon's time was increasingly split between New York City and Poughkeepsie. in 1944 she sold "Cliffdale" and its land to IBM, leaving Dutchess County to pursue her work with Christian organizations, she remained chair of the Board of Home Missions Council until 1946, and a member of the General Council of Congregational Christian Churches. She took her last position in the public eye in 1948,when she was elected moderator of the General Council, the first woman to hold the position in the council's 77-year history. Kenyon served as moderator for two years before retiring to Pomona, California. She died in 1978. At the time of her death, Kenyon held honorary degrees from Drury College, Franklin and Marshall College, Middlebury College and Wheaton College. In 1994, "Cliffdale" became the new home of the Poughkeepsie Day School. 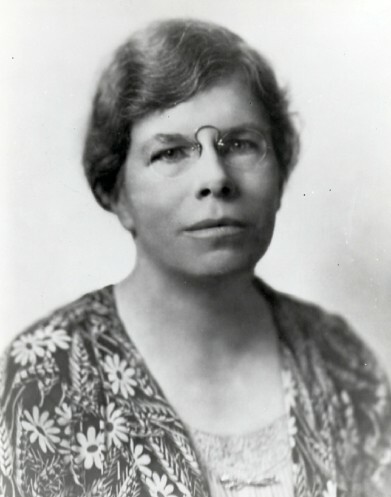 Helen Kenyon Biographical Files in the Vassar College Archives.